Day 1 Fly to Vancouver: On arrival collect your car and make your way to your hotel. Days 2-3 Vancouver: Two full days to explore this beautiful city - we have a variety of fascinating pre- bookable excursions which you may wish to consider (see Excursions). 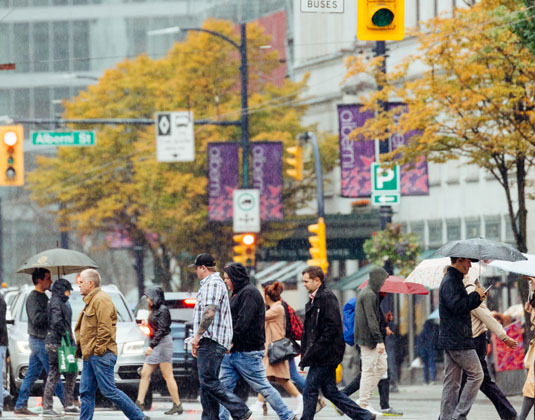 Sights you won't want to miss include the lush Stanley Park, Gastown, Chinatown, the shops of Robson Street and Granville Island. For those with a head for heights there's also Vancouver Lookout along with the nearby Capilano Suspension Bridge and Grouse Mountain gondola ride. Day 4 Vancouver/Victoria: Travel by ferry across the Georgia Strait to Vancouver Island and drive onwards to Victoria, the capital of British Columbia. 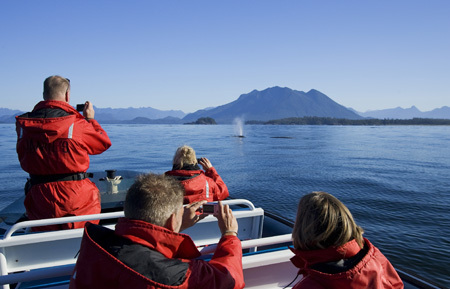 Day 5 Victoria: Explore the beautiful Inner Harbour of Victoria or perhaps visit one of the city's fascinating museums. 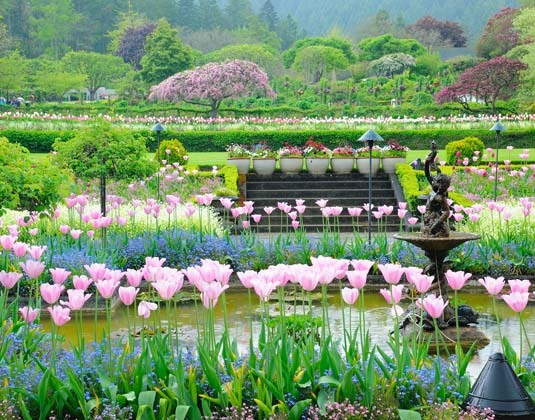 Allow time also for world-famous Butchart Gardens, where whatever the season you'll enjoy spectacular displays. 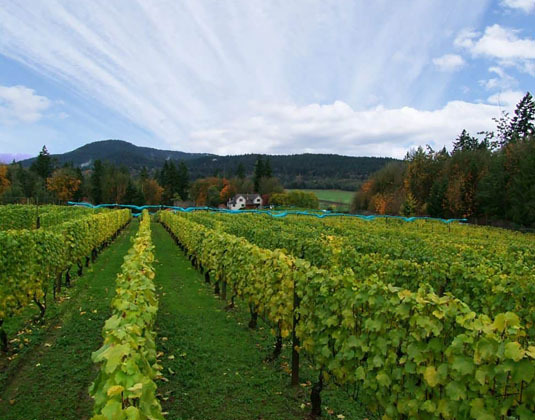 Day 6 Victoria/Duncan: Drive to Duncan in the Cowichan Valley, a fertile crescent of rich farmland, lush vineyards, heritage river systems and scenic backroads in the south eastern corner of Vancouver Island. 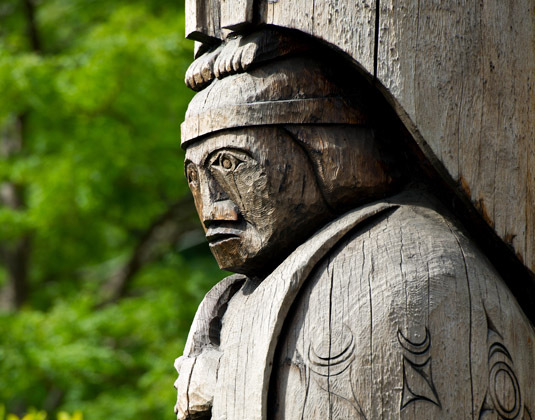 Dubbed the 'City of Totems', Duncan has more than 80 First Nations carvings located throughout the o home to the Quw'utsun' Cultural Centre. 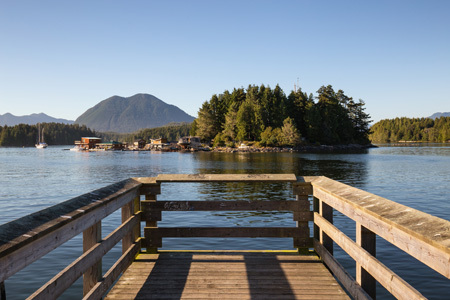 Day 7 Duncan/Tofino: Travel to Tofino, regarded as the jewel of the west coast thanks to its stunning locatio in the Clauoquot Sound UNESCO Biosphere Reserve. An ideal destination for lovers of the great outdoors as well as foodies, with a variety of excellent restaurants. 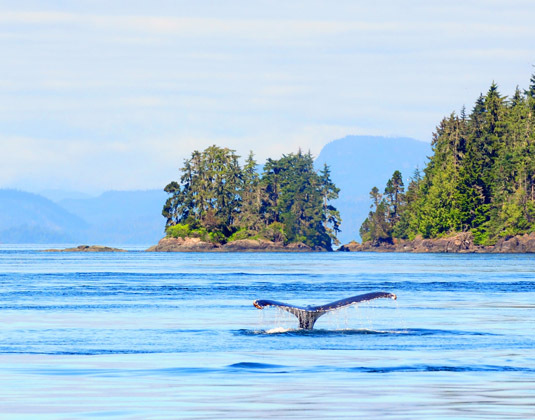 Day 8 Tofino: At leisure in this nature lover's paradise where activities include fishing, kayaking, whale watching, bear watching, hiking and so much more besides. Day 9 Tofino/Campbell River: Drive across Vancouver Island to Campbell River on the east coast. Along with breathtaking scenery Campbell River enjoys a sterling reputation among anglers from all corners of the globe. Day 10 Campbell River/Knight Inlet: Morning transfer and departure by floatplane (30 minute flight) to Knight Inlet Lodge. Once settled embark on a small boat excursion in the estuary. 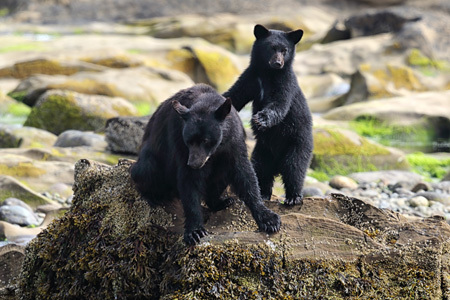 In the afternoon enjoy a two hour bear viewing tour (by boat in spring and summer, or on a viewing platform late August to October) of Glendale Cove, home to one of the largest concentrations of grizzly bears in British Columbia. This is followed by a two hour Knight Inlet sightseeing cruise. On each tour you are accompanied by a knowledgeable guide. This evening, relax whilst a guide gives an interpretive presentation. Day 11 Knight Inlet/Nanaimo: Morning bear viewing trip before you return to Campbell River by floatplane. 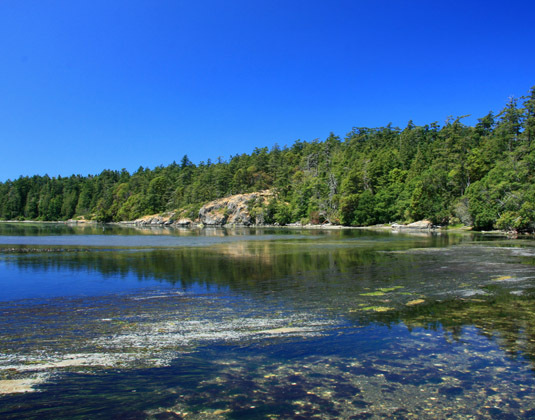 On arrival drive south to Nanaimo and enjoy time to stroll around the lovely harbour and bustling waterfront. Day 12 Nanaimo/Vancouver: Return by ferry across the Georgia Strait to Vancouver for last minute shopping and sightseeing. Day 13 Vancouver: Return you car at Vancouver airport where you tour concludes with your onward journey. Departures: Daily between 21 May-14 Oct 19. Accommodation: 3* BW Sands by the Sea, Vancouver; 3* PLUS Oswego, Victoria; 3* PLUS Ramada Duncan; 3* Middle Beach Lodge, Tofino; 3* Comfort Inn & Suites, Campbell River; 4* Knight Inlet Lodge; 3* Coast Bastion Inn, Nanaimo. Meals: Room only. Breakfast, Lunch and dinner (with wine) is included on day 10 and breakfast on day 11. 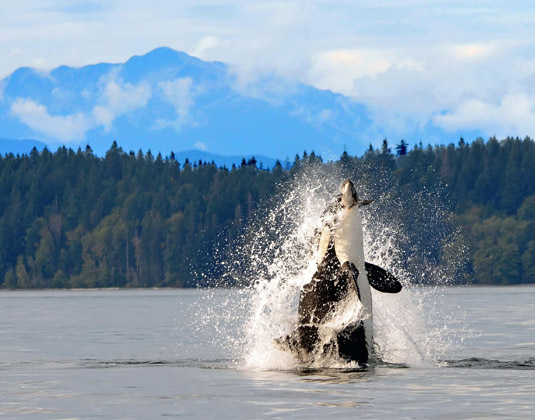 Tour price: The price shown is based on the best value travel dates in low season and includes international flights, 13 days group B car hire, return ferry between Vancouver and Vancouver Island, accommodation as outlined, transfers to the floatplane base, return floatplane and sightseeing as outlined on days 10 & 11. Luggage on the floatplane is limited to one 14kg bag per person(excess luggage can be stored at the floatplane terminal).